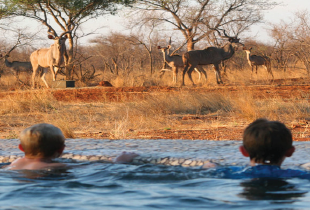 Buffalo Thorn Safari Lodge is a supporter and contributor toward local conservation and wildlife awareness. 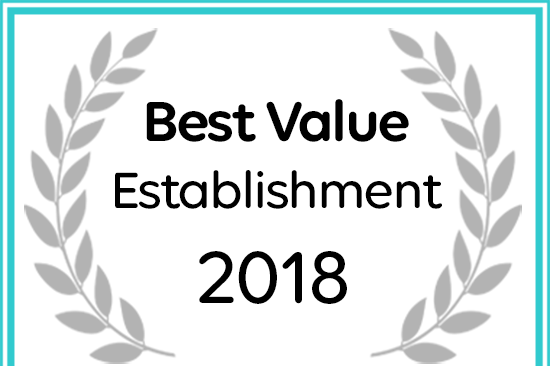 We also support and help ensure that local animal rescue and rehabilitation programs are being backed by local business. This is all made in an effort to assist in the development and healthy growth of local wildlife. Buffalo Thorn Safari Lodge is located on the Engelsea Farm, a private South African game lodge and conservation with a host of wildlife. The myriad of different species and diversity on the farm makes it an ideal location for game drives. Make sure to book a game drive with us, and we’ll take you on a game trail through the farm, stopping at popular water holes. Our game drives are most exciting during the evening when animals are active and safe from the searing African daylight. If you prefer the thrill of taking a hike or walking-trail through the bush, we have you covered. Our guides will protect and guide you, with a keen eye for game and a wealth of knowledge concerning life in the bush, your walk will be an absolute adventure. 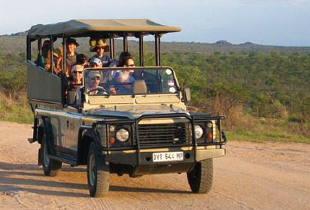 Book a game drive or guided walk with us today! The nearby Blouberg mountain range offers a rich woodland home for a variety of birdlife making it the perfect location for birdwatching in South Africa. The Blouberg is also home to the world’s largest family of Cape Vultures. 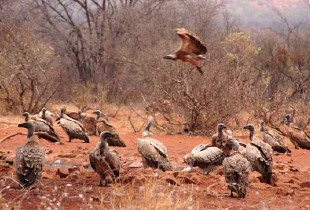 The Blouberg Conservation ensures that the Cape Vultures are properly cared for, rehabilitating those that are injured or have fallen victim to poisoning. Give them your support so that you may also help save our threatened Cape Vultures. Buffalo Thorn Safari Lodge operates a buffalo breeding programme on our very own grounds. The breeding enclosure can be viewed from the Buffalo Thorn Safari Lodge deck, and watching the buffalo is a magical way of spending an afternoon in the African bush. The conservation, protection and breeding of the 500-600kg TB-free African Cape buffalo is a wonderful investment opportunity that allows the public the opportunity to entrust in the future of this magnificent beast. For more information on the buffalo breeding programme, send us an enquiry.